If not for fun, at least just do it for the cool trophy! The accounts of Neopets employees are no different from any other account, and *sniffle* no, we don't get extra random events. ;_; Some accounts are used for testing only... so we have to paint Neopets or give items to make sure everything is working correctly, but those accounts are not played by anyone and nothing in the accounts can be moved to a player account. Just like you all, if a staff member wants to play Neopets, they have to do it fair and square. What happens to your computer when you download the Tarla Toolbar? I read on another website that it tracks your internet history so advertisers will know what type of ads appeal to you so you're more compelled to click, & someone else said its got spyware attached, & that's the reason you're promoting it so much with free items. I'd like to download the program & get expensive things, but I just want to know what really happens before I do so :P If you do publish this, please leave out my name. Thanks! We asked the head honcho of the toolbar himself, and he explained there is absolutely no spyware in the toolbar, as clearly stated when you sign up. :) Nothing is tracked by the toolbar, and no individual data is stored. The toolbar does not have any hidden programs or the like that would harm your computer or track personal information. A Cybunny by any other name is just as sweet! Actually, only the top 17 game scores are rewarded with a trophy (exceptions may apply, but this is the rule for the majority of the games). 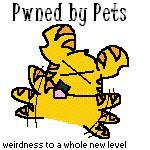 The Petpet will remain unchanged until it is unequipped, despite any change in Neopet ownership. There is one exception, however. If the Petpet was originally one of the starter cardboard Petpets that was then zapped into something else, the Neopet will not be able to be abandoned until the Petpet is removed. Cardboard Petpets can't be transferred. I think they are planning to eat me ._. Adding "k" to the end of a number indicates "thousand," so it's just a shortcut way of typing prices that is often used in the Trading Post and in Neomails. 1k would be 1,000, 200k would be 200,000, and 2000k would be 2,000,000. Basically, just mentally change the "k" into three zeros. If someone states "300k" in their trading wish list, they would like 300,000 Neopoints for the item(s). It is completely random and run by a program that has absolutely no preference to anyone. Everyone has the same chance to get the same random events. The only way it could possibly be more fair is if it gave everyone a paint brush every time it handed one out to anybody. Of course, then paint brushes would deflate to nothing... you get the idea. It'd be like everyone winning the lottery every time! "Congratulations! You get your dollar back! 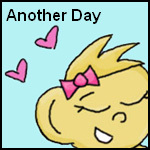 Be sure to buy a lotto ticket next week, too, so you can win your dollar back again!" It's really serves no purpose at that point. If a Premium member is willing to do it for them, it's fine by us, though, to us anyway, it does seem a bit rude. Not only are these users trying to reap the benefits of the service without paying, they want someone else to spend time and money for them. It is understandable, however, that some simply cannot afford it and that Premium members would want to help out other Neopets users, so as long as no one is making a profit off the service (like tips or charging a fee), we're totally fine with it. SUPER Shop Wiz to the rescue! ZOOOOM! Nope. The Tale of Woe was conceived (in its basic form) WAAAY before we even thought of the Altador Cup. As many people are aware, there was a TCG set for the Haunted Woods, and many of the Neopets and places in the plot are in the cards. So even though the set came out in June (around the time of the Cup), the cards were drawn months before that, and it was many months before that when we planned what would be contained within that set of cards. Also, as we've said many times, the users controlled who won the Altador Cup and the Haunted Woods winning was simply a coincidence. We know there will always be conspiracy theorists that claim it was all set up beforehand, but honestly, the outcome was entirely up to you players. We're far too busy (and not clever enough) to pull off even a fraction of the conspiracies we get accused of. ;) And there is no connection between the Cup and the Tale of Woe story-wise, meaning we didn't need any set up or lead in to the plot in any way, so there was no reason to have purposefully set up the Haunted Woods to win the Cup. In fact, it would have been nice for another world to have gotten the attention for a while since the Haunted Woods is getting all of it now, but they won fair and square, so that's fine by us. :) They did quite well to earn their trophy. Think about it this way - one of the few options we have to fix certain lag issues is to not do these plots at all. That would be lame, though, so we press on anyway and hope that everyone understands. With MILLIONS of people on this site, the Intarwebs can only take so much, even with the 400+ servers we have. *nod* 400+. That's a LOT of servers, and it still has trouble handling y'all. I'd like to buy an Acko Piggy Bank, please!